12 Healthy Condiments to Liven up Clean Eating - Eat. Lose. Gain. It can seem like your taste buds will suffer as you start to eat cleaner. So that’s why I love condiments. They’re a gift of guilt-free flavor for your taste buds. Many of them are lower in calories. Most don’t have bad-for-you fats. The majority aren’t high in cholesterol. And they can liven up your taste buds. But before we go over my favorite healthier condiments, keep one thing in mind. Low-sodium varieties are always preferable when given the option. And homemade is best, since you can have even more control over the ingredients. And there are certain condiments you need to adapt a little to make healthy. But, that’s OK. It’s worth it once you see how good they can make clean eating. So here are some of the best condiments to liven up a healthy lifestyle. Grab a fork and a knife and get ready to salivate. There are many varieties of mustard. Think yellow mustard, dijon, and brown mustard. And the ingredients obviously vary. 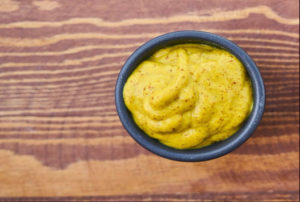 But the primary ingredients in mustard tend to be vinegar, mustard seed, maybe some garlic or turmeric. Very basic, healthy stuff. 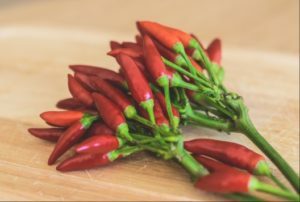 Hot sauces are another one that usually have very basic ingredients. Thing vinegar, some spices, and hot peppers. You’ll rarely find one that has added sugar since sweet conflicts with the kick from the spicy. So if you think healthier eating has to be bland, think again! Hot sauces are a fantastic way to add spice when your food seems uninspired. 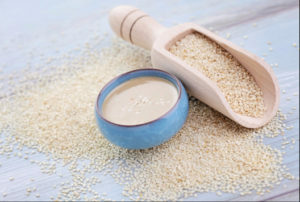 The main ingredient in tahini, if you didn’t know, is just little sesame seeds. And sesame seeds are healthy for all sorts of reasons. They are higher in healthy fats, and lower in the bad ones. They can help lower cholesterol. And they can potentially help your hormonal balance via phytoesterols. Plus they’re full of vitamins and minerals. The unhulled variety is best since it’s less processed. Or this is a great one to make at home. Because homemade is almost always the best choice if possible. But there’s a big caveat to this one. Most commercial brands are overflowing with sugar. And many of the no-sugar varieties are packed with chemical based artificial sweeteners. So do-it-yourself is really the best way to go. It’s really hard to find a quality store bought variety. 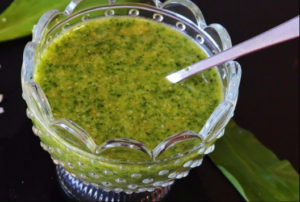 Here’s a homemade no-sugar relish recipe so give it a try now! Chickpeas are super healthy foods. They are good for balancing blood sugar. They are a source of vegetarian protein. And they contain lots of fiber. 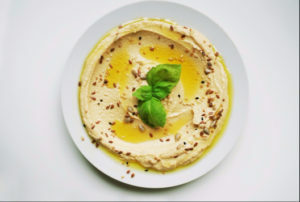 Here’s a really simple hummus recipe. Making hummus at home is so easy and economical. Or check out the different store-bought varieties. You’re bound to find one that’ll make your taste buds sing! 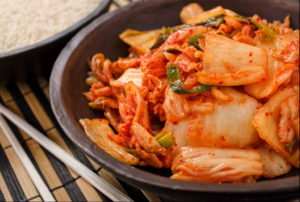 Kimchi is relatively new to America as a condiment. But it’s one of the healthiest ones because it’s made through a process of lacto-fermentation. Eating kimchi helps populate your digestive tract with friendly, gut-protecting bacteria. The main ingredient of cabbage is already healthy. But the fermentation process maximizes its nutrient potential. 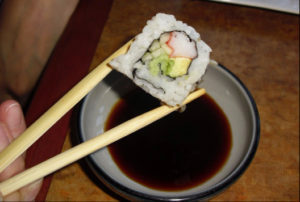 Just make sure to read the label to stay away from varieties with MSG. This is a healthy way to give your Mexican food a more authentic kick. And don’t stop with Mexican. You’d be surprised at how many uses you can find for pico de gallo. Put it on chicken or tofu bowls, on top of soups, on salads, or anywhere you like! This is another one you need to check the label for sugar. But salsa can be one of the healthier condiments. It’s made from simple ingredients like tomatoes, onions, and spices. We’re talking really wholesome, potentially low in calories, and low in bad fats. Again, check the labels to keep out added sugar. 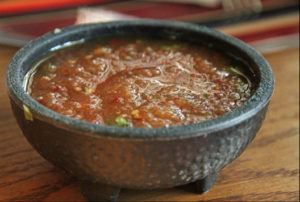 Or try this fun, no added sugar, salsa recipe! Here’s another one of the fermented condiments. It is a source of beneficial bacteria to heal the gut. It’s low calorie and high in nutrients. And it just tastes great. 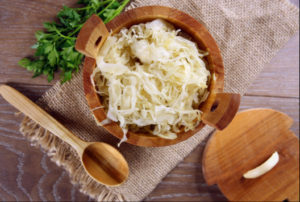 Try to get a variety of sauerkraut that isn’t heated to super high temperatures during processing. The higher the heat during processing, the more those helpful beneficial bacteria get destroyed. For instance, check out GOLD MINE ORGANIC RAW SAUERKRAUT 16 OZ . It is a high quality, raw sauerkraut. Being minimally processed, it will retain its full nutrient potential. Conventional pesto usually contains cheese. And cheese can be rather inflammatory. 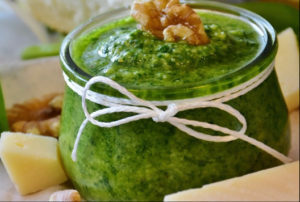 But there are all sorts of creative ways to replace the cheese in pesto for a healthy supportive condiment. For instance, Organico has a pesto that has the main ingredients of olive oil and cashews Organico Organic Vegan Pesto 130g . (healthier fats!) And Biona Organic has a pesto made from sundried tomatoes, olive oil, and spices Biona Organic – Green Pesto with Pine Kernels – 120g . Why gluten-free? The regular variety uses wheat as a filler. So I prefer the gluten-free variety which is just soybeans. And when dealing with soy, try to get non-GMO if that’s something you care about. Most American soy has been genetically modified. The low-sodium varieties aren’t sodium-free. So don’t go overboard. But they’re much better than the regular. You knew I couldn’t talk about condiments for clean eating and not include guacamole. 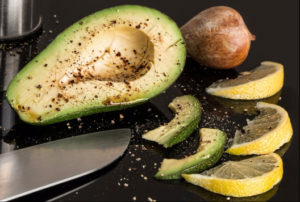 The healthy fat in avocado is one of nature’s best gifts. And guacamole makes almost everything it touches taste amazing. I’m a big fan of making my own guacamole. But some store bought options aren’t too bad. Either way, guacamole is a huge winner in the condiments department. Stocking your refrigerator full of condiments is some of the best advice I can give to those transitioning to clean eating. Because they can give the drab, pizzaz. They can make the ho hum, exciting. 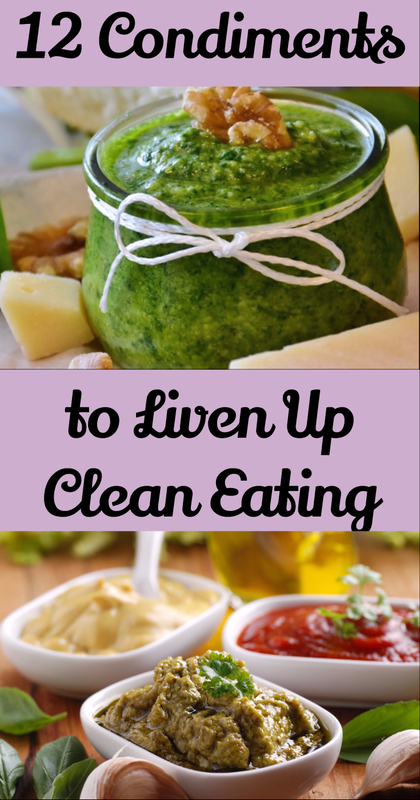 And they can make the goal of clean eating totally achievable. Just make sure that your read the label if you buy store bought options. There is so much salt and sugar hiding in these jars and bottles. Not to mention some of the other pitfalls I’ve discussed. So buyer beware. But with a little research and planning, you can use condiments to really spice up clean eating. Who knew healthy living could be so easy? Now that you know, make sure to stock up on your favorite condiments today. I love relish and could it it on almost anything. I never knew mustard was healthy, so I think I will start eating more of that, too. I am very new to adding condiments to my meals. Kimchi is an interesting one and not one I’ve had often or well. It’s definitely a special sort to add to a food. I love this post so informative and gives us so many ideas how to garnish our food in a healthy way. Some of those things like mustard is so ignored but tasty and low fat. We love mustard in this house, pico de gallo, and salsa are also huge hits. 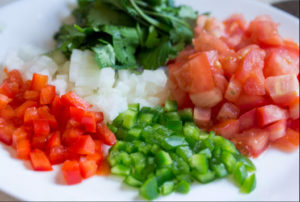 We make our own PIco De Gallo and Salsa so we can control the ingredients. We have food allergies in this house and often store bought varieties have come in contact with allergens. Great list! 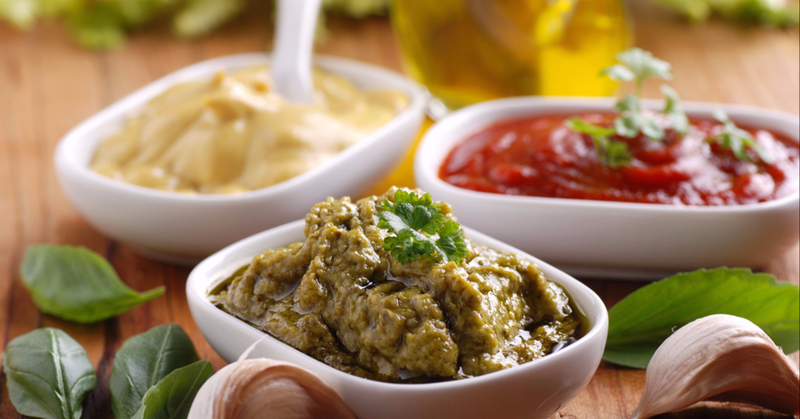 I love mustard and hot sauce and most everything else on this list, but I need to look into vegan pesto for sure. Great list! So many things on here that I love. I haven’t tried vegan pesto. Great options to replace the cheese. I have really gotten to like mustard. It goes well on so many things and there are so many different options. I’m not a plain eater. I love to have condiments on my food. I can’t stand the smell of Kimchi, though I’ve heard it’s really good! I love adding condiments to my meals. Avocado, mustard and pesto are some of my favorites. They add such flavor to my dishes. I’m still working on finding ways to incorporate kimchi and sauerkraut. I like them both but never seem to finish them before they go bad. Love that the condiments that I enjoy the most are included here! It’s definitely important for me to keep track of what I’m eating, especially now that I’m trying to get back in shape. Thanks for the list! These are all great condiments and many of them I LOVE. I’m currently trying to cut out gluten (which may suffer during the holidays with cookies), I’ve noticed I’m kind of going back to some of my old paleo ways. 🙂 Not 100% because I have had beans in a salad and corn chips. Anyway, yummy condiments totally helped when I was paleo for real. I made this awesome mustard chicken from a paleo cookbook that I’m now craving. Kimchi is readily available in fridge. I love all these but kimchi but I don’t think I have had great kimchi yet. Such a great combination of condiments. LOVE this. These sound so good! They would add so much flavor to every meal. Pesto is definitely one of my favorites! Tahini and avocado are always on my menu! I feel like I can make so much with these two! I will add this list to my cooking notes. My family likes Kimchi, it is indispensable at any brunch. I also use it to combine to cook a dish. My grandmother used to tell me the spicier the better. I’ve heard of the benefits from Hot Sauce but never Mustard and Relish. What an interesting read! I love learning new things. These condiments sound great, and some I haven’t heard of so thank you for introducing them to me! They can really make the world of difference to a meal. So many condiments have horrible things in them. Thanks for these so we can replace with these! I love all of these! I’m trying to eat better this year so I think these will help to still give it all some good flavor! I agree flavor is the key to eating well! You’re right that adding condiments can create an easy flavor boost! I love so many of these condiments and use at least one of them daily. Adding these tasty sauces always make my mouth and tummy happy. Plus, I never feel like I’m packing on the pounds. Girl you have listed all of the things I love. I actually plan on trying to clean up my diet as well. There’s so many options out there. I’ll probably kill myself with guacamole and hummas. I am a fan of all of these! Hummus and salsa are probably my favorites! This is awesome! I actually LOVE hummus so I’m going to try it out!